Many of us are trying to find ways to make a difference in our budgets and get ahead. One of my goals is to pay off the debt I racked up from school tuition (and the occasional splurge). Luckily my friend Pam from The Thrifty Things wrote a very informative post for everyone there who is starting out on the road of couponing. That’s right don’t be scared! Couponing in a great way to save money and make a difference in your budget each month. 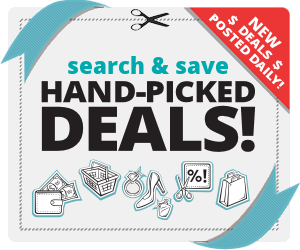 Simply think of a coupon as extra money in your pocket and you will be hooked for sure! People often ask me where I find the coupons that I use. There are several sources that I utilize. Here’s where you can find valuable, money saving coupons to help slash your bills. I am starting this series from a beginning level so you will know the common terminology. This is the most common source of coupons. You will usually receive two inserts, a Smart Source and a Red Plum. Approximately once a month the paper will include a Proctor and Gamble insert. When you visit couponing websites, they usually use the following abbreviations: SS for Smart Source, RP for Red Plum, and P&G for Proctor and Gamble. Not everyone will receive the same coupons. Large cities receive a much better selections and some coupons are “regional” and will only be distributed in certain areas of the country. I recommend buying two Sunday papers. This is a small investment (around $4.00), which can save you up to $100. You will often need two coupons to take advantage of deals. I have several friends who are to “frugal” to buy the Sunday paper. Instead they rely on a friend or neighbor to share their coupon inserts. Plus, if you tell friends and neighbors you use coupons, sometimes they will give you inserts. Also, try trading the coupons you don’t use with friends and family for something you will use. For example, I don’t use baby products. I can share this coupons with others who need them. “Blinkies” are the small coupon machines hanging above a product in a supermarket. Even if you don’t plan to buy the product that day, take a coupon and wait for a sale. Recently, I found a blinkie for $1.00 off Orville Reddenbacher popcorn. Although I didn’t plan on purchasing popcorn that day, I took a coupon. The next week popcorn was on sale for $1.25 a box, so my box only cost a quarter. “Tear Pads” are coupons found on a pad underneath a product which can be torn off the coupon sheet. Many stores have coupons placed on a product ready to be “peeled” off . When I went into Kroger recently planning to purchase two boxes of Betty Crocker potatoes, I found a peelie on the box that read “buy three boxes potatoes, get 1 box hamburger helper free.” I added another box of potatoes and got my $1.69 hamburger helper free. Many magazines such as Good Housekeeping, Woman’s Day, and Family Circle have coupon inserts included. One of the best “coupon friendly” magazines is All You. It is sold exclusively at Walmart or can be ordered through subscription. This magazine usually includes lots of high value coupons. When you pass by the person giving out free samples, always ask if they have coupons. Usually they do. My husband used to stop in convenience stores around the state as part of his job. He has found that many of the managers leave their coupons in a basket beside the cash register rather than place them on the products. 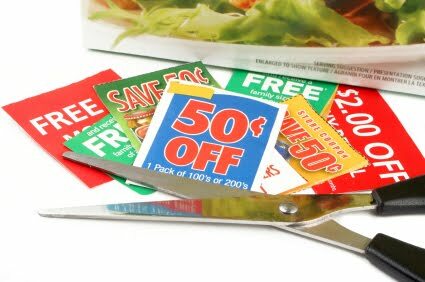 When he inquired what they were planning to do with the coupons, he found several coupons thrust upon him in hopes he would take them out of the store. Pam writes over at The Thrifty Things where she features innovative product reviews, giveaways, books, recipes, and tips to save you money so you can purchase the products you love.